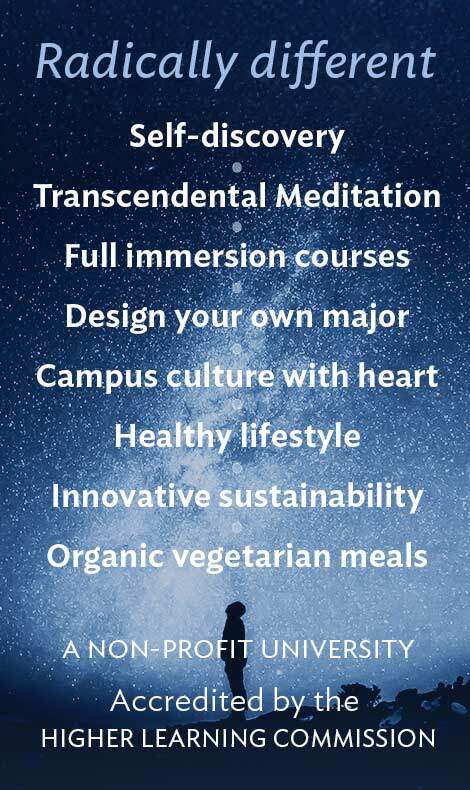 Following instruction in the Transcendental Meditation technique, this is the first course every new undergraduate student takes at the University. This course introduces student to three fundamental sources of knowledge that can be used together to evaluate any idea: personal experience, scientific reasoning, and traditional wisdom. On the basis of evidence from all three sources, a new consciousness-based framework is introduced that introduces new ways of viewing the world and new approaches to meeting its challenges. If students already practice Transcendental Meditation, this course includes a review of the principles and mechanics of the practice, based on their experience and questions. As part of this course, students participate in a 3-4 day base camp that focuses on team building, group processes, and leadership skills. The Science of Creative Intelligence (SCI) is the first course for all graduate students and is occasionally offered as an elective to all students. SCI is the systematic study, experience, and development of the full range of life – both individual and cosmic. 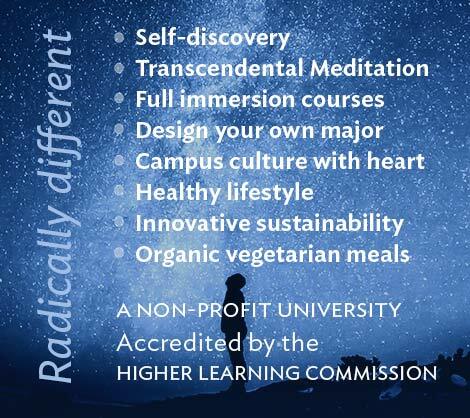 Maharishi Mahesh Yogi, the founder of Maharishi University of Management, presents in this course the universal principles that are responsible for the creation, maintenance, and evolution of the individual, society, and the cosmos. Maharishi uses analogies and effective repetition in these comprehensive lectures to enable students to understand and integrate the principles of consciousness and intelligence underlying all creation.